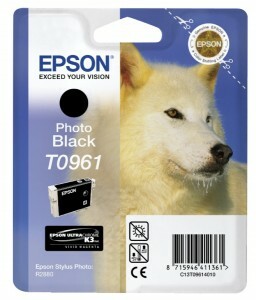 Buying Epson Ink Online For The First Time? superb product and superb service....order placed in the afternoon,and was delivered the following morning!....what more could I ask for!....thank you. Delivered swiftly as promised. Absolutely no problem in using these inks. They also gave a good quality of reproduction. Couldn't believe how quickly my order arrived. No problem installing them into the printer. Good colour quality. Will definitely purchase from stinky ink again. Another great product that I've ordered from Stinkyink. They last well and the price is so much more reasonable than other websites. I would highly recommend these inks as well as this company. 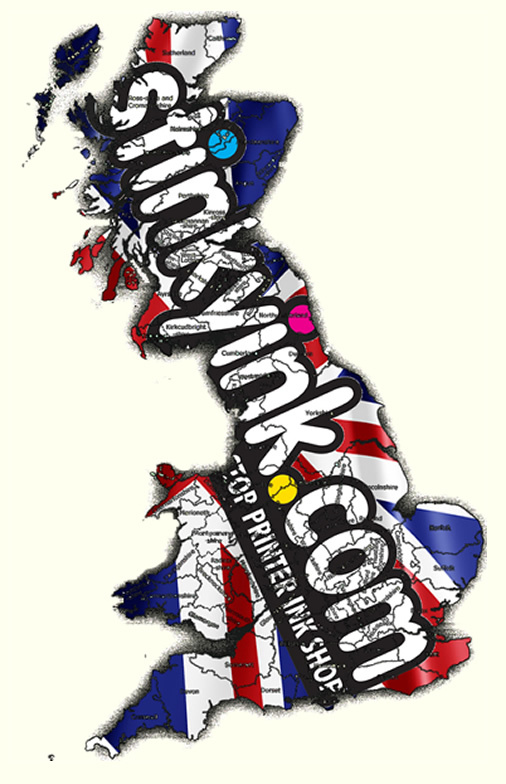 Look no further, whether in or out of a recession Stinkyink have once again made an excellent quality product available at an affordable price. Epson have a huge range of ink technologies employed in their different product ranges, so we've broken down the differences to help you know what you're buying! DuraBrite is Epson's entry level ink, aimed at the home user who doesn't want a huge outlay on ther inks. 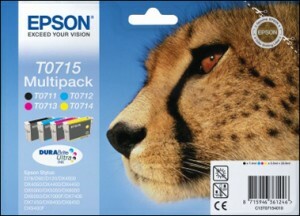 It's most commonly found in the Epson Cheetah range, for example. It's a pigment based ink that is designed to give excellent results on normal paper as well as photo paper, and is most commonly used in 4-ink printers. Epson heavily invested when development this entry level ink, with a special resin coating meaning you get amazing colour reproduction and brightness in relatively cheap EPson inks. 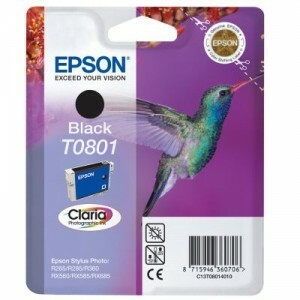 Derived from the word "clarity", this Epson ink cartridge technology is designed for home photo users that want more photo and colour based printing in their machines. The ink is designed more to work with photo paper than the DuraBrite ranges and, due to typically containing 6 coloured inks, can achieve a far wider colour gamut and colour accuracy. This enhanced colour coverage gives much improved performance and long lasting prints. The Claria range is also designed to be quicker drying and water/scratch resistant, making it perfect for photo printing. The quick-drying capability is truly impressed as the Claira Epson ink is dye based, with Epson boasting of an improved bond between ink and paper. Fancy stuff! Epson's top of the range technology. The Ultrachrome pigment range of inks is aimed at the professional photo printers that want the best of the best and don't mind paying for it. Containing 6+ inks, often more 8-10 inks, with the addition of bonus blacks, vivid & light colour cartridges and more, these inks truly are amazing. The pigment Epson ink in the UltraChrome cartridges literally fuse to the paper, similar to how dye based inks do, giving an amazing gloss finish and unmatched colour accuracy. Some of the ranges even include a third black (such as light light black) that give incredible monochrome prints. If you're considering a printer that uses UltraChrome inks, know you're getting some of the best Epson inks on the market, but that they're expensive to run and will likely never have compatible or cheaper inks to use as they're aimed at such niche, high quality users.